1. Unsafe behavior will not be tolerated. Anyone violating this rule will be asked to immediately leave the premises and will forfeit registration fees. 2. No alcohol or drugs are permitted on the premises, including during course setup and registration, run sessions, fun runs, and course breakdown. 3. No pets are allowed under any circumstances – No exceptions. 4. Lone Star Chapter autocross events run RAIN OR SHINE. In the event that severe weather causes the cancellation of an event (ice, tornado, etc), every effort will be made to notify attendees, generally via a posting to LSC BMW CCA Facebook page and via Twitter @LoneStarAutoX. In the event that lightning occurs in the area during an event, all participants will be encouraged to take shelter for 15-30 minutes. 1. For the 2019 Season, all registration and payment for each event will be handled on-line at DLB Racing. On-line registration for each event will commence at 12 am on the third Saturday prior to the event and will subsequently close at 6 pm on the Friday prior to the event. Any prospective entrants that are experiencing technical problems with online registration or other related issues should contact the autocross chairman for further assistance. Registration and payment for the event will be available on site for an extra fee as long as maximum capacity has NOT been reached. 2. 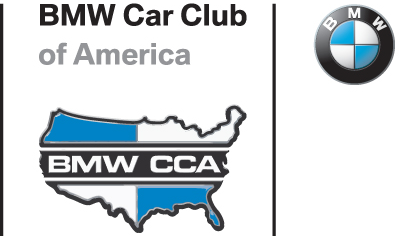 LSC BMW CCA members and their guests may compete in any automobile that passes a technical inspection. Licensed minors 16 years and older may participate in the event only with written parental consent. If the parent will not be not on site, confirmation of permission must be made by downloading and printing the minor release form IN COLOR. Parents will need to sign the waiver and have it notarized and the minor participant must bring it to the event and present it to the event chairperson. Minors under 16 may only ride in a vehicle owned and driven by their parent during fun runs (if conducted). 3. LSC BMW CCA autocross committee members will assist their guests with tech inspection to ensure their car can be safely driven on the course. 4. All persons present at the event must sign a waiver. Minors (under 18) must have a minor release form signed by parent or guardian. 5. All participants must submit their vehicle for Technical Inspection prior to the drivers meeting. An event organizer will assist in confirming driver(s), car number (s), and classification, At this time the driver will receive a course map and a “tech inspection passed” sticker that is placed on the outside of the front windshield in the upper corner on the driver’s side. 7. All participants must be available to work during the entire event, at the Event Chairperson’s direction. If you are unable to work your assigned time slots, please check with the Event Chairperson. Failure to work the event will result in a disqualification of all runs completed that day and forfeiture of any season points that would have been earned. 8. “Fun Runs” (if time permits, and approved by the Event Chairperson) will be held after the formal event is completed. 9. Refund policy. There are no refunds once an event has been paid for. 1. A Snell M-2010/SA-2010 or newer helmet must be worn by any driver or passengers. There are three to four loaner helmets that are available to be used by participants that do not have their own helmet. 2. Metal to metal seat belts for drivers and passengers must be worn at all times on the course. 3. ALL loose/non-permanent objects must be removed from car’s interior, glove box, and trunk for the vehicle to pass tech inspection. Please check under seats. Hubcaps must be removed. 4. OTEs (off track excursions) off the tarmac, striking the timer lights, or any other actions considered reckless will result in a mandatory meeting between the driver and the Event Chairperson before the driver is allowed back on course. The severity and cause of each incident will be assessed on a case-by-case basis. Repercussions, if any, will be determined by the Event Chairperson. Complete destruction of a timer light generally results in a $250 fee for the responsible driver (our cost). 1. The number of timed runs per driver (usually 10) will be determined by the Event Chairperson. 2. Passengers are NOT permitted, however a designated instructor can ride with an entrant, and entrants may ride with a designated instructor in order to assist with the entrant learning the course. 3. An entrant may only compete and earn points in one class per event. – 1 second per each cone knocked “down and out” of square. This includes directional cones or cones that form a wall or a stop box. There is no maximum number of cone penalties per run. – A car is disqualified for a given run for a DNF (did not finish) if it leaves the course and does not re-enter the course at the same location where it left. All cars that DNF should continue to follow the course to the Finish line. DNFs will not be given a run time, however drivers may request feedback as to where the DNF occurred. At the end of the year, trophies will be awarded in each class for the three highest points scores, with the exception of Novice Class where six trophies will be awarded (i.e., 1st, 2nd, and 3rd for Class B, 1st, 2nd, and 3rd for Class C, etc.). The trophies will be awarded at the Lone Star Chapter Meeting/Awards Event in January 2019. Trophies are reserved for competitors who have attended AT LEAST five events in the same class for the 2019 year, with the seven highest scoring events (out of the NINE scheduled events for 2019) being counted as points events. If a driver changes class(es) during the season, any points accumulated in a given class will remain with that class and cannot be combined with points in any other class. In the event of a position points tie at the end of the year in a particular class, each driver’s best times from all events in which the tying competitors both competed will be added up and the lowest aggregate time will determine the winner of that position. The LSC Autocross Committee reserves the right to make modifications to the rules and regulations, car classifications, and base and modification points, as it sees appropriate to promote fair competition. All cars are generally classified by their overall performance capabilities. There are two main groupings for classifying cars – BMWs and non-BMWs. BMWs and MINIs may only register in classes A thru G.
Non-BMWs may only register in classes X thru Z. NOTE: Drivers may, at their option, register their car and compete in a more competitive class than that in which their car is normally classified. For example, a BMW whose base and modifications points falls into Class C may register for any or all events in class E. Drivers who intend to make modifications to their car as the season progresses would be best served to take advantage of this option! BMWs and MINIs are assigned base points for STOCK performance capabilities and receive additional points for MODIFICATIONS to the stock setup. The sum of these points will determine what class the vehicle will compete in. BMW and MINI complete in Class B through Class G, with Class G being the highest performance and/or more modified cars. Non-BMW classes are X thru Z and placement is based on manufacturers’ published engine displacement specifications. Engine displacement is rounded to the nearest tenth of a liter. For example, 2,948cc = 2.9L, whereas 2,950cc = 3.0L. – A forced induction displacement multiplier of 1.5 is applied to all non-BMW turbocharged and supercharged engines. For example, a 2.0L turbo engine is classified as a 2.0L X 1.5 = 3.0L engine. This multiplier applies whether the forced induction is done by the original manufacturer or installed as an aftermarket upgrade. The use of “R” compound or “slick” tires on a Non-BMW moves the vehicle up to the next higher class. Coilovers (i.e. Bilstein PSS9, KW’s, AST) If selected, do not select shocks & springs.